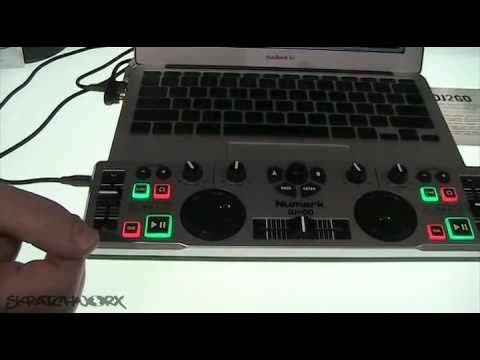 DJ2GO is a portable, affordable and highly capable DJ controller that allows you to control your favorite DJ software with a tactile feel that can't be matched using a computer mouse and keyboard. DJ2GO weighs just 13 oz. but provides a layout familiar to DJs that includes two platters, a crossfader, pitch and level controls as well as Deck A, Deck B, Master and Headphone gain controls. In addition, you can load and assign tracks to either of the two included deck control sections without ever touching a mouse. Sync and headphone buttons allow you to instantly sync two tracks and monitor either deck section. Included with DJ2GO is a special edition of Virtual DJ software, designed to mate perfectly with the capabilities of the controller, so you can pick up DJ2GO and literally start performing on the spot. Because DJ2GO is MIDI-compliant, it can be used easily with virtually any DJ software by simply re-mapping the controls in the applicable application. You need only to connect the included USB cable to their Mac or PC and install the software to be up and running. 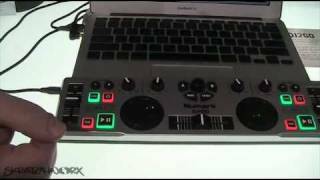 Considering purchasing the Numark DJ2GO? Have questions? Ask people who've recently bought one. Do you own the Numark DJ2GO? Why not write a review based on your experience with it. I bought this little gadget around a year ago and have been using it for all my events with my laptop. It works a treat on Windows 7 and Windows 8 and I personally have used it with the Virtual DJ LE and also with the Virtual DJ Pro version. Despite it's size, it really does have all the features you should need for parties/weddings/discos etc. If you're a professional DJ in a club, then you should be looking at professional virtual decks, but otherwise this is great and will still let you create smooth mixes (albeit with a bit more effort than a professional deck). At this price, I really can't complain. The only minor for me is the way the jog wheels seem to switch mode between track seeking and scratching - this is more the software than the device though. This little gadget is fun or making small tunes on but thats all its not a proper deck. 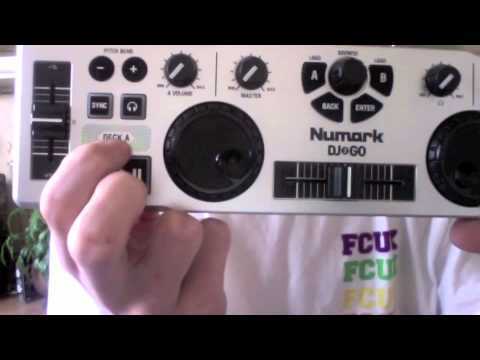 Seen a video for Numark DJ2GO online or have you own video? 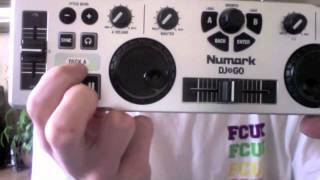 Check out Numark DJ2GO on DJkit.com!